Are You Suffering from Stress or Pain? 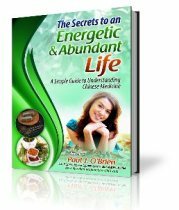 Leave your name and email address below to receive my monthly e-zine Straight to the Point and recieve a Free Copy of my book, ”The Secrets to An Energetic and Abundant Life: A Simple Guide to Understanding Traditional Chinese Medicine as an extra bonus. I hate spam. Your email address will never be sold or used for other purposes. I promise to use it only to send you Straight to the Point - the Meridian Acupuncture Dublin Clinic Newsletter. Filled with Free articles and resources on a variety of medical concerns from the daily irritants such as low energy, muscle injuries, sciatica, sprains and aches, to debilitating colds, flu’s, migraine headaches, sinusitis, and nosebleeds to the serious and impacting conditions such as depression, infertility, and cancer treatment side effects. Finally you also find information on the Meridian Acupuncture Dublin Clinic, my private treatment rooms, the services I provide, lists and explanations of treatable conditions, my financial and booking policies, the location of my clinic and contact details and coming shortly an online booking and reservation feature. Acupuncture for Weight Loss - Can a Few Needles Really Reduce Fat?